This is a scalable context timeline. It contains events related to the event July 11-13, 1995: Prosecutors to Seek Death Penalty against Accused Oklahoma City Bombers. You can narrow or broaden the context of this timeline by adjusting the zoom level. The lower the scale, the more relevant the items on average will be, while the higher the scale, the less relevant the items, on average, will be. 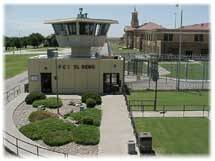 El Reno Federal Corrections Center. [Source: Federal Bureau of Prisons]White supremacist Timothy McVeigh, held by federal officials on suspicion of being the Oklahoma City bomber (see 8:35 a.m. - 9:02 a.m. April 19, 1995 and April 21, 1995), is arraigned in a makeshift federal courtroom at Tinker Air Force Base near Midwest City, Oklahoma. He is arraigned before a federal magistrate on charges of maliciously damaging federal property. Merrick Garland, the head of the Justice Department’s criminal division in Washington, arrives in time to handle the hearing for the FBI. Garland is displeased by the lack of openness in the hearing, and arranges to have a dozen reporters in the “courtroom.” McVeigh, dressed in an orange jumpsuit and socks with no shoes, is led into the room and given a copy of the criminal complaint, or affidavit, against him. The affidavit is signed by an FBI agent, and in 14 paragraphs lays out the government’s case for holding McVeigh on suspicion of carrying out the bombing. The affidavit includes evidence given by Carl Lebron, McVeigh’s former fellow security guard (see April 20-21, 1995), though Lebron is not identified in the document. According to Lebron, McVeigh was “known to hold extreme right-wing views” and had been “particularly agitated” about the Branch Davidian debacle two years earlier (see April 19, 1993 and April 19, 1993 and After). The affidavit says McVeigh visited the site of the Davidian compound in Waco during the standoff (see March 1993), and later expressed “extreme anger at the federal government” and said the government “should never have done what it did.” Reporter Nolan Clay for the Daily Oklahoman later recalls: “He seemed like such a kid. I’ve covered courts for years, and I’ve seen hundreds of killers and usually they have an aura around them of being a killer. That look in their eyes. You can tell in their eyes they’re killers, and they are scary. But he looked like the kid next door. It’s true, that image about him. I was very surprised by that.” McVeigh enters no plea at the arraignment. 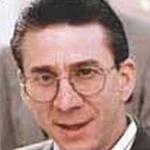 Lawyers for Terry Nichols, accused of conspiring with Timothy McVeigh to bomb a federal building in Oklahoma City (see March 1995, April 16-17, 1995, 5:00 a.m. April 18, 1995, 8:15 a.m. and After, April 18, 1995, and June 23, 1995), say that the government’s case against Nichols is built on a series of innocent coincidences, and accuse the FBI of unfairly pressuring Nichols’s family for information. Nichols’s lawyer Michael Tigar and others on the defense team meet with US Attorney Patrick Ryan and Justice Department officials to argue that the government should not seek the death penalty against their client (see July 11-13, 1995). After the closed-door meeting, Tigar tells reporters that the FBI improperly recorded over 20 conversations Nichols had, including telephone conversations with his wife and mother, after his arrest (see 3:15 p.m. and After, April 21-22, 1995). “We’ve already seen the results of the government’s search warrants, the many tape-recorded conversations that were surreptitiously recorded without his knowledge,” Tigar says. “In short, we’ve seen it all. And we didn’t see anything in there that says the government has evidence that Terry Nichols did this.” Nichols, Tigar says, is an innocent victim of circumstance. Robert Nigh Jr. [Source: Associated Press]Defense lawyers for accused Oklahoma City bombers Timothy McVeigh (see 8:35 a.m. - 9:02 a.m. April 19, 1995 and August 10, 1995) and Terry Nichols (see 8:35 a.m. - 9:02 a.m. April 19, 1995 and July 11-13, 1995) ask that their clients’ trials be moved from Oklahoma due to intense media coverage from the bombing. The lawyers say that the media coverage has irredeemably tainted the jury pool. Oklahoma citizens are too close to the case, the lawyers argue, for either McVeigh or Nichols to receive a fair trial. The case is currently slated to be tried in Lawton, Oklahoma, some 85 miles away from Oklahoma City. One of McVeigh’s lawyers, Robert Nigh Jr., says: “We do not question for a moment that the people of Lawton or the people of Oklahoma are as fair as people anywhere in the country. They are simply too close in this case to determine the facts objectively.” Polls administered by two Houston researchers show that Lawton residents are far more familiar with the details of the case than residents of two other cities, Albuquerque and Kansas City, Kansas, and care more deeply about the case. All three cities are part of the Tenth Circuit. The polls say that almost half of Lawton residents have formed an opinion as to the guilt or innocence of McVeigh, and 96 percent of them believe him to be guilty. The numbers for Nichols are 30 percent and 90 percent, respectively. McVeigh’s lawyers state in a court filing: “The fevered passion of the community of Oklahoma has been escalated by local news reports concerning the case. 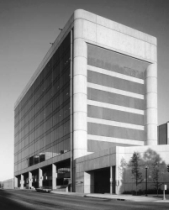 Timothy McVeigh has been tried, convicted, and sentenced to death by the media in Oklahoma.” [New York Times, 11/22/1995; Fox News, 4/13/2005] The trial will be moved to Denver, Colorado (see February 20, 1996). 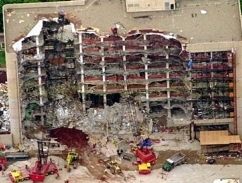 Lawyers on both sides of the upcoming Oklahoma City bombing trial (see 8:35 a.m. - 9:02 a.m. April 19, 1995, July 11-13, 1995, and August 10, 1995) agree to exhume the body of one of the 168 victims of the blast. The agreement to exhume the body of Lakesha Levy, an Air Force member killed in the explosion, is to determine whether the unidentified leg found in the rubble (see August 7, 1995) belongs to Levy. Defense lawyers for accused bomber Timothy McVeigh had at one time speculated that the leg might belong to “the real bomber,” but after DNA tests proved it belonged to an African-American female, those speculations ceased. Levy is buried in a New Orleans graveyard. Prosecutors say that their records show eight of the bombing victims were buried without their left legs. It is possible, they say, that Levy was buried with someone else’s leg. Levy’s body will be sent to an FBI forensics laboratory for investigation. [New York Times, 2/28/1996] The leg will be conclusively identified as Levy’s (see February 24, 1996). Timothy McVeigh and Terry Nichols, accused of carrying out the Oklahoma City bombing (see 8:35 a.m. - 9:02 a.m. April 19, 1995, July 11-13, 1995, and August 10, 1995), are moved to a jail in Englewood, Colorado, in preparation for their upcoming trials. The two are flown into the Jefferson County Airport northwest of Denver in a Defense Department jet and then transferred to a helicopter, presumably for a flight to the federal prison in Englewood. Heavily armed guards seal the area as the two are transferred to the helicopter. [Associated Press, 3/31/1996; Fox News, 4/13/2005] McVeigh and Nichols will be tried in Denver (see February 20, 1996).